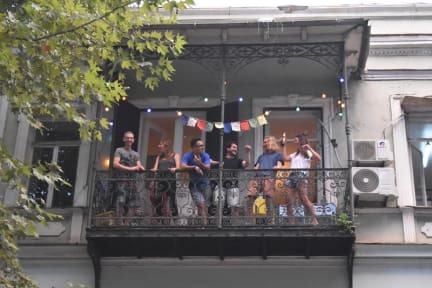 Marks Hostel i Tbilisi, Georgia: Bestill nå! 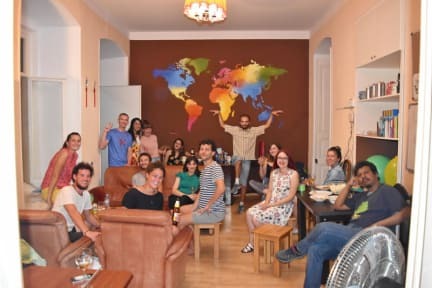 New, Irish-owned hostel in the heart of Tbilisi! A long term traveler himself, Mark runs a fun, friendly hostel for backpackers from around the world. It’s a new hostel in 2018, so we’re still figuring things out. But great and caring service is guaranteed as well as comfy, custom made beds, clean bathrooms and big smiles. Make new friends in the common room of this historic, listed building, or just chill on one of the sofas with a cold beer and good music. Mark’s hostel is perfectly located at Liberty Square, just meters from the airport bus stop, Metro, and all the city’s awesome attractions. Safe, clean and friendly, it’s the perfect place to base yourself for exploring Tbilisi and Georgia. Marks Hostel offers air conditioned rooms - mixed dorms, and one private room. There is a basic kitchen, free tea and coffee, and a two restaurants below the hostel (one Italian and one traditional Georgian). A genuine backpackers for real travelers.